I can’t even wait for the walls to be painted to show you the reveal. 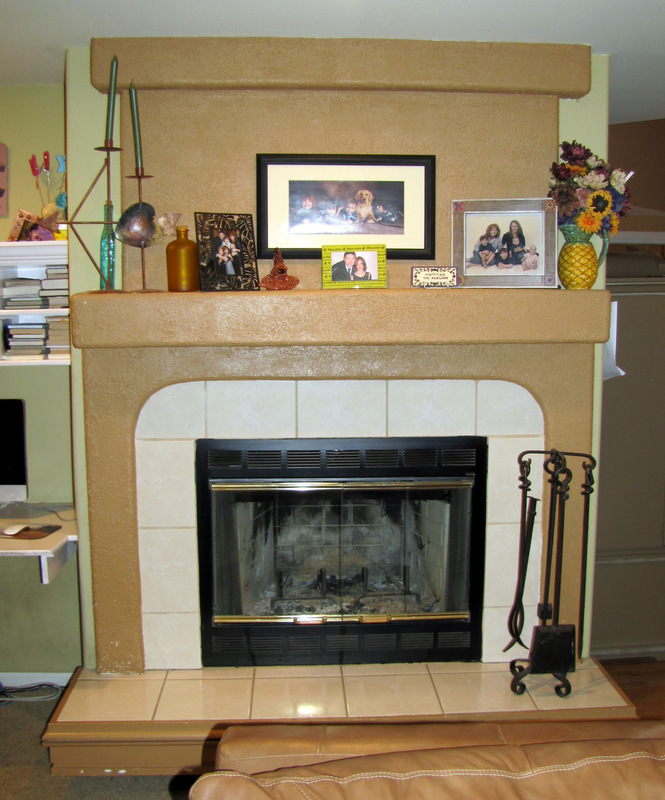 an aged barn wood mantel to create this one of a kind fireplace for my client Angie. With Guide to Career Education you can take your Interior Design business to the next level with a Degree in Entrepreneurship. I’ll post more when it’s complete! I love the tiles that are on the floor section in front of the fireplace–so pretty! Where did you get the piece of wood for the mantle? Love it!!! That is quite an amazing difference. WOW, that is a fabulous change! LOVE LOVE LOVE the new look and the tile is awesome!